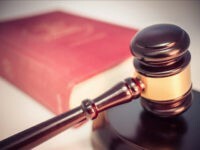 The U.S. Court of Appeals for the Fifth Circuit defended Louisiana State University’s decision to fire a professor for using profane language in the classroom. 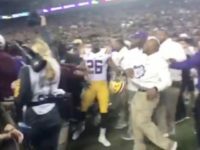 The players left everything on the field after Texas A&M and LSU played an epic seven overtime game on Saturday, that lasted nearly 5 hours. Baton Rouge Police reported Friday that 20-year-old Wayde Sims was shot and killed on the street across from Southern University. Les Miles doesn’t know if the grass is tastier on the other side, but he’d sure like to take a bite if someone wants to give him a chance. 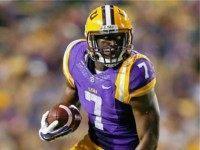 NEW ORLEANS, Dec. 5 (UPI) — Things didn’t “go as planned” for running back Leonard Fournette at LSU. Now Fournette should plan for a more posh lifestyle, after announcing Monday to declare for the 2017 NFL Draft. The junior was a preseason Heisman candidate, but has been slowed by a left ankle sprain. He is still projected to be a first-round selection. BATON ROUGE, La. 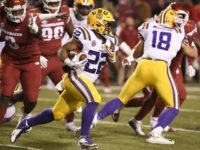 (AP) — On Saturday, LSU formally named Ed Orgeron the permanent head coach of the flagship college football program in the state where he was raised before venturing out on a career that took him from coast-to-coast and back again. 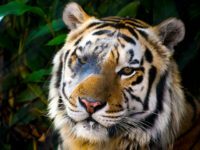 PETA urged LSU to stop its use of live mascots at football games just hours after Tuesday’s death of Mike the Tiger, also known as Mike VI. The university’s student newspaper editor Louisiana State University (LSU) is demanding university officials denounce Breitbart Tech Editor Milo Yiannopoulos’ ledcture which condemned the ‘body positivity’ movement. 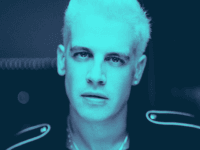 BATON ROUGE, Louisiana – During his Louisiana State University (LSU) lecture titled “Fat-Shaming Works”, Breitbart Tech Editor Milo Yiannopoulos had a few words for Black Lives Matter protesters, saying they should be worried about their community’s obesity rate, rather than rioting against police. 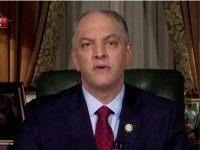 BATON ROUGE, Louisiana – Louisiana’s high-volume agriculture industry is among the devastated after the southeast region of the state was soaked by overwhelming floodwaters. No. 1 ranked Buddy Hield outscored No. 2 ranked Ben Simmons 32-14 to lead No. 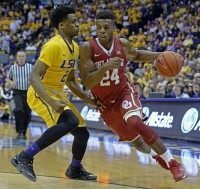 1 Oklahoma to a last-second 77-75 road win at LSU. LSU star running back Leonard Fournette took a different stance on the Confederate battle flag from some of the white coaches at SEC Media Days, telling reporters that he does not have a problem with it. 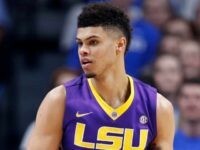 LSU has a top-four football team according to ESPN, and a top 4 basketball team according to Value Add Basketball, and two of the four top returning scorers in the country play up the road at Northwestern State. The University of Texas Longhorns are once again the most valuable college football team in the nation. Valued with a net worth of $131 million, the team managed to hold onto the top position despite a six percent drop in net worth from 2013.